Dawn Murphy-Johnson focuses her practice on white collar criminal defense, complex civil litigation and appellate advocacy. She has second-chaired trial teams for both criminal and civil matters in federal court. Ms. Murphy-Johnson also has extensive experience representing parties and amici at all stages of briefing before the United States Supreme Court and in the federal Courts of Appeals, including as second-chair in oral argument before the Supreme Court. In her criminal litigation practice, Ms. Murphy-Johnson represents individuals in governmental investigations, at trial, at sentencing and on appeal. Her experience includes cases involving tax and accounting fraud, government contracts fraud, public corruption, export control violations and violations of the Foreign Corrupt Practices Act (FCPA). She has also conducted internal investigations on behalf of multinational corporations. Ms. Murphy-Johnson has broad experience in all aspects of civil litigation, most often in high-stakes, multi-year cases. She has won motions to dismiss based on lack of jurisdiction and for failure to state a claim, managed fact and expert discovery, and prepared cases for trial. She has defended clients in cases involving alleged violations of the civil Racketeering Influenced and Corrupt Organizations (RICO) Act and the U.S. civil Anti-Terrorism Act, in commercial contract disputes, and in cases involving allegations of breach of fiduciary duty and professional negligence. 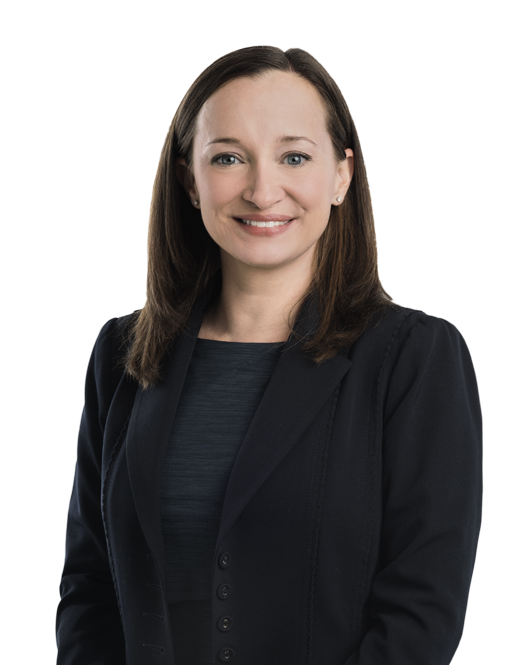 In addition, Ms. Murphy-Johnson contributes substantial professional time to her active pro bono practice, most often focusing on post-conviction petitions to overturn wrongful convictions and appellate matters involving prisoner litigation. Second-chaired oral argument before the United States Supreme Court in Bruce v. Samuels, 136 S. Ct. 627 (2016), a case involving statutory interpretation of the Prison Litigation Reform Act. Member of briefing team in Mohamad v. Palestinian Authority, 132 S. Ct. 1702 (2012), a Torture Victim Protection Act case in which the United States Supreme Court unanimously affirmed in favor of clients. Second-chaired federal criminal trial and won partial acquittal for U.S. citizen charged with illegally exporting to Iran training software developed during client's employment at a U.S. nuclear power plant. Second-chaired federal civil trial that resulted in favorable jury verdict for corporate client in commercial contract dispute. Involved in all aspects of pretrial representation of client charged with obstruction of justice and criminal conspiracy involving more than $200 million in alleged tax loss. Jury acquitted client on all counts after four-week trial. In 2017, the U.S. Department of Justice (DOJ) deployed aggressive and unconventional tactics to pursue corporate executives in some of its largest investigations.